© Rajesh Seshadri: What if you stopped worrying about yourself? Have you ever had people annoy you at work? Or maybe family members whose little habits bothered you? Have you been frustrated by a store clerk or waiter, or maybe the traffic? What about frustration with your kid, or spouse? How can we become more tolerant, find calm in the middle of all of these annoyances and frustrations? For me, when I remember, the answer lies in getting outside of myself. 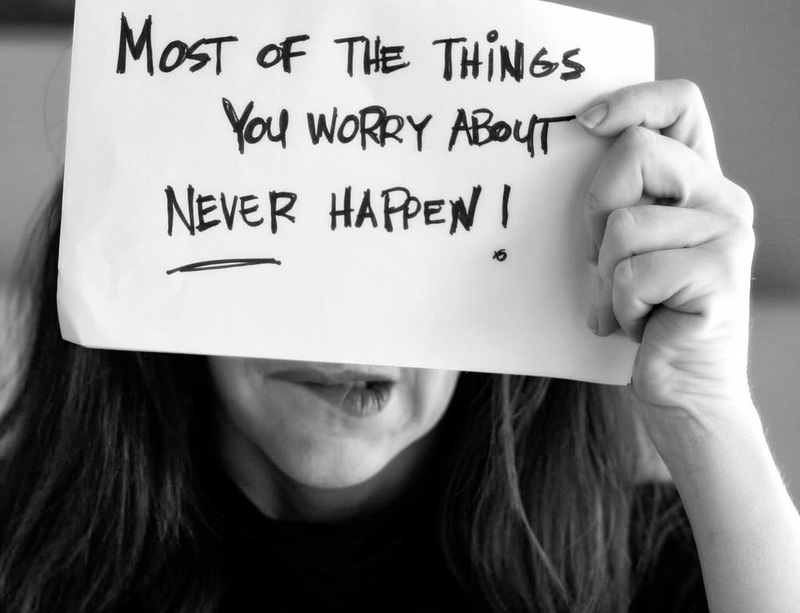 Nearly every moment of every day of our entire lives is spent worrying about ourselves. We are preoccupied by concern about ourselves: am I doing the right thing, will I mess this up, will I be able to meet deadline, what do other people think of me, am I good enough, why is this happening to me, how can I get better, why don’t people listen to me, why don’t they treat me better, why can’t they get out of my way, why is my body so fat, why don’t things go my way, am I missing out on things? But what if we were freed of this worry about ourselves? What if, for a little while, we could assume our selves were being taken care of, comforted and protected and accepted? What if we could stop this Thinking About Self for awhile, and do something else? Wouldn’t this be a bit liberating? Wouldn’t it be nice to get free of this preoccupation that has taken up our entire lives? I, for one, welcome this opportunity. So what happens when we are freed of worrying about ourselves? We can now start looking in on other people, and finding out what they’re like, what they’re going through. It turns out, they are suffering just as much as we are. They are constantly worried about the same things, wanting to be happy but worried about themselves and wondering why this guy is always acting irritated with them. We can see this suffering, and understand what it’s like, because we’ve just come from our own minds, where the same kinds of things have been going on for years. We can empathize. We can also want them to suffer less, and maybe comfort them, give them compassion. Returning to our own minds, arms full of this new information and empathy and compassion … we can maybe be more tolerant when someone doesn’t behave “perfectly” (as if we ever behave perfectly ourselves), when someone is rude or slow or loud. Maybe we can even act kindly towards them, give them a mental hug and see how we can help them. Of course, it’s easy to return to our self-preoccupied state. I always return here, because it’s such a strongly-ingrained mental habit. But I can see this happening sometimes, and try to get out of the little space that’s my self-preoccupied mind. Even for the briefest moment, this little bit of floating around can bring a small measure of lightness and happiness. And if you practice it repeatedly, it’s a liberation like no other.